“Sabareesan was born to us after 20 years of marriage, when we had completely given up hope of being parents. We were so thrilled about taking care of him well and had many dreams for him. But recently when we found out that he has a tumor in his brain, it all came crashing down. God gave us a baby after so many prayers, and now we were at the risk of losing him. I have spent all that I had on his treatment so far. Now I am left with absolutely nothing. 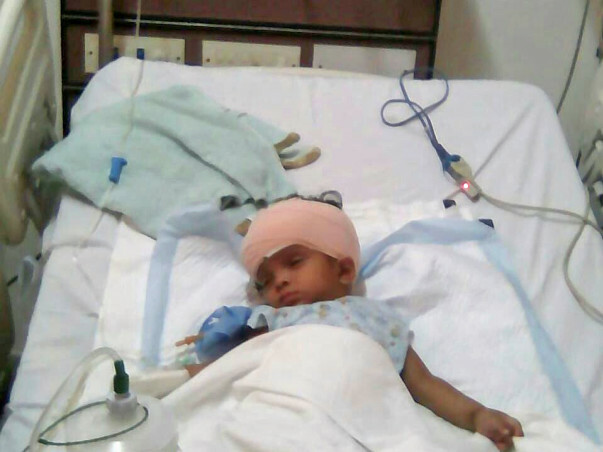 I desperately need help to save my only child.”-Sukumaran, father of 9-month-old Sabareesan. 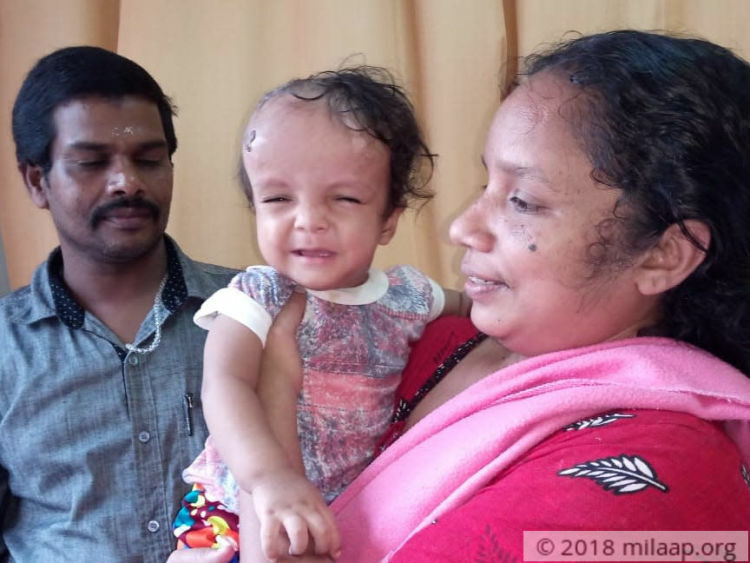 Deepa and Sukumaran had taken care of their baby so well – they made sure that he always got the best of baby products and toys by spending beyond their means. After all, he was their ‘miracle baby’. But 6 months back, something bad happened. Sabareesan was happily playing on the bed when Deepa had just turned to take something from the cupboard. In a split second, he fell – head down – on the floor. “He was wailing at the top of his lungs. There was no visible injury, but I had never seen my baby in so much pain. I called my husband and we rushed him to the nearest hospital in our hometown in Idukki district, Kerala. The doctors there assured us that there was no threat to his life. We were relieved, but little did we know that this was just the beginning of worse things to come.”-Deepa. When Sabareesan never had a peaceful night’s sleep since the incident, his parents knew something was not right. His piercing cries told them that their child has not recovered from the fall. They took him to different hospitals, but nobody could narrow down the cause of his distress. The baby was even kept under observation for 8 days in a private hospital, but no conclusive reason for his pain was found. “I used up all my medical insurance, but my son’s problem was not identified. We were confused – as were the doctors. Poor baby was not even big enough to tell us what was hurting him. We just hoped that all his pain would go away soon. What else could we do.”-Sukumaran. 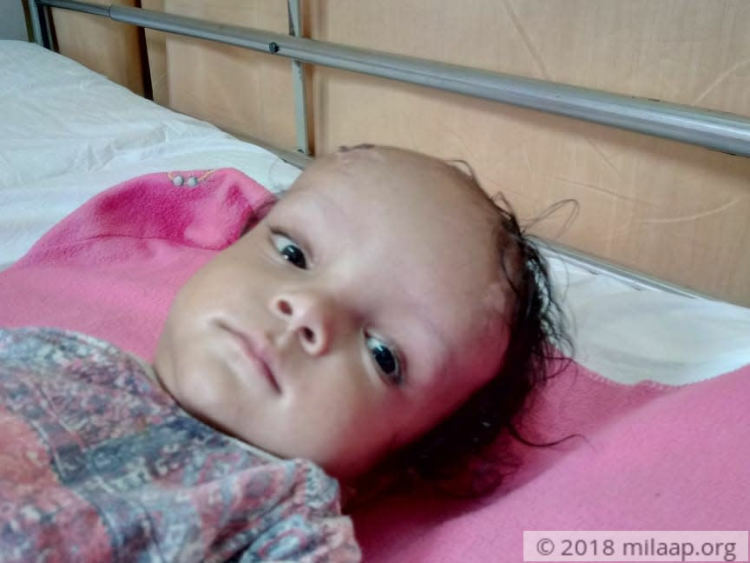 Within a few days, Sabareesan’s head started swelling up. 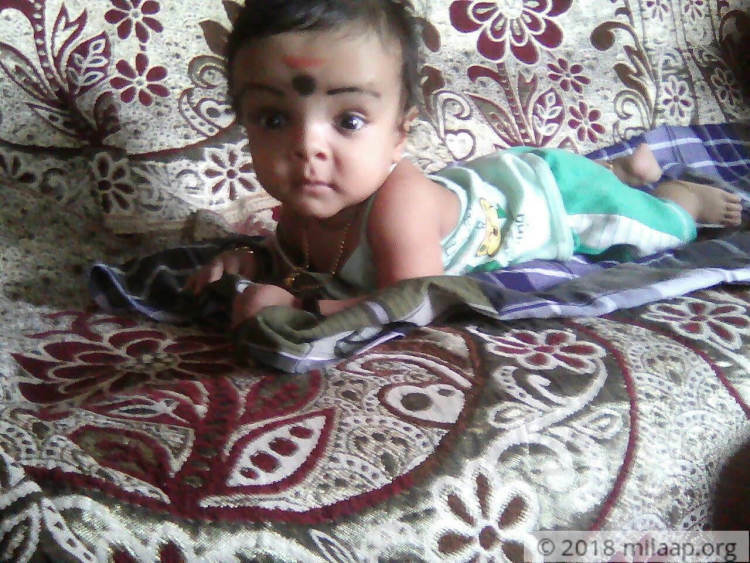 This time, his parents were so worried that they didn’t want to take a chance with their son’s life – they rushed him to a good hospital in Ernakulam. He was also running a high fever. After a couple of tests and scans, it was found that this poor child had a cancerous brain tumor. He also had significant fluid collection in his brain, which had to be drained out through a surgery due to chances of getting infected. 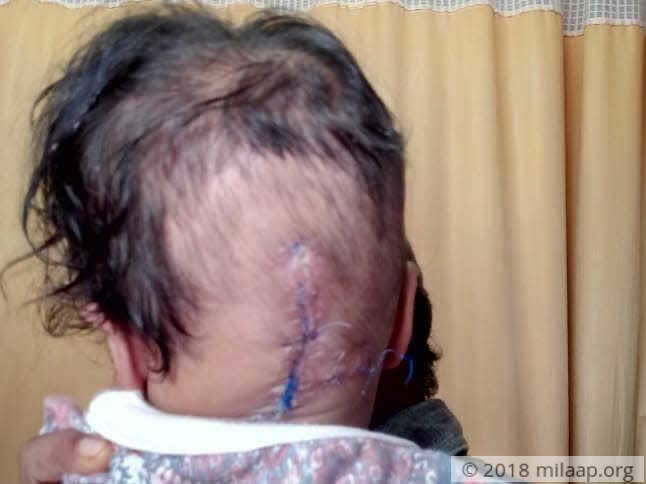 “I begged everybody I knew and somehow got the surgery done to keep a shunt to drain fluid in his brain. But soon even that shunt caused infection and he needed another surgery. The tumor also had to be removed soon – so he had a third surgery in a short time frame. I had to borrow heavily from moneylenders to keep up with the expenses. Money troubles coupled with the fear of losing my only son have been haunting me ever since”-Sukumaran. A scan that was done just few days after the removal of the brain tumor showed that it was still actively growing. Sukumaran and Deepa were heartbroken. Just when they believed that their son had been cured, the tumor came back with full-force. 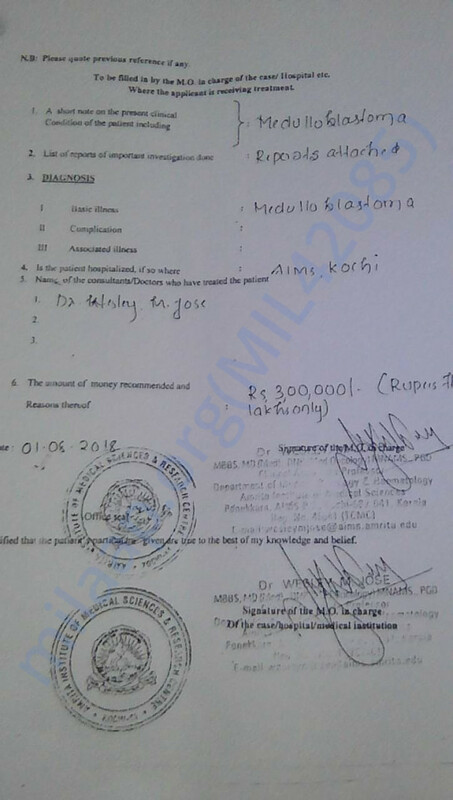 Now, only strong chemotherapy can save him but Sukumaran does not have money to spare. “I am buried in debt. My son is very ill and I do not have the means to save him by getting him the treatment he deserves. I need help to keep my son’s treatment going or he will not survive.”-Sukumaran, with tears in his eyes. 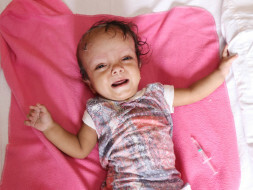 Sabareesan has a rapidly growing brain tumor that can spread to other parts of the brain and even his spinal cord. He is very critical now – his tiny body is not able to withstand the devastating effects of cancer. 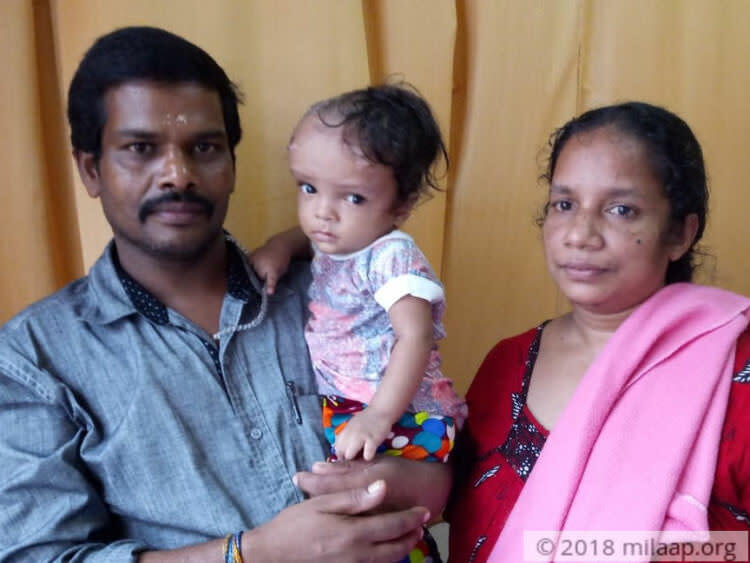 He is getting weaker and inconsolable by the day, and his father, Sukumaran, a poor daily wage labourer, is struggling to raise funds to get him the treatment he deserves. Thank you for your continuous love and support. Shabareesh is doing better now. He has eight more cycles of chemotherapy left. We will be taking him to the doctor for a blood test. Depending on the reports of the blood test, they will schedule the next cycle of chemotherapy. He doesn't have any major side effects to the chemotherapy. He has a little trouble eating, so he is being given food through IV. Do keep praying for our little boy. Thank you all! Thank you for you love. 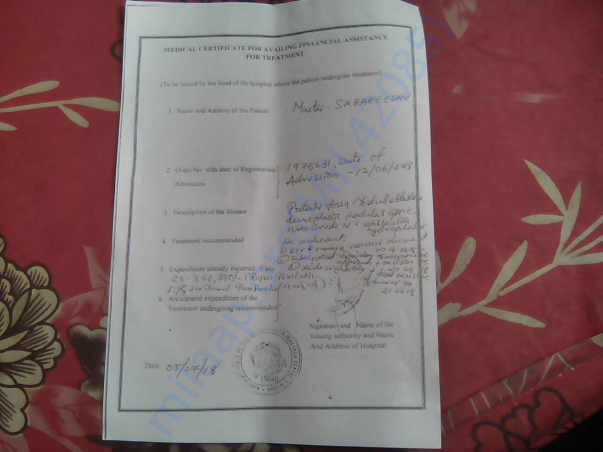 Sabareesan has undergone two cycles of chemotherapy as of now and requires 8 more cycles. We will take him to the hospital this week for a blood test and the doctors will tell us the future course of treatment once the reports come. As of now there are no side effects to the chemotherapy. Thank you all so much for your love. Please keep praying for him!